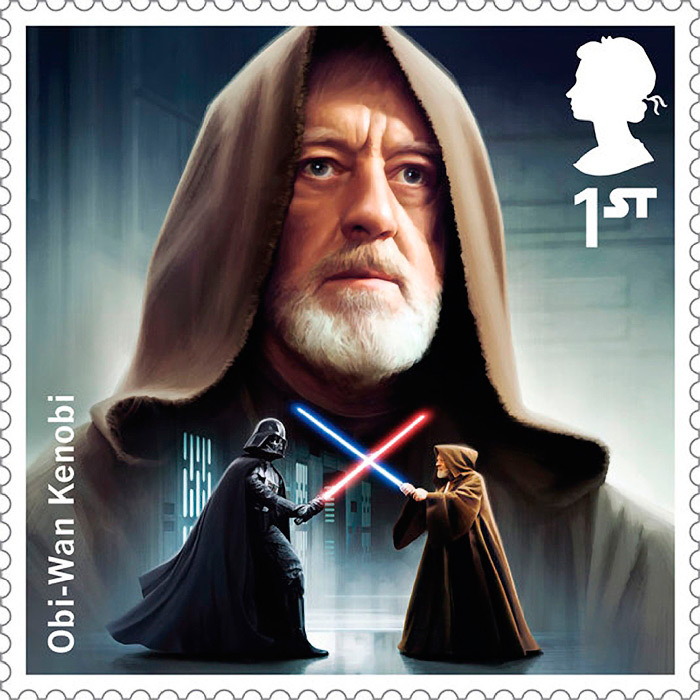 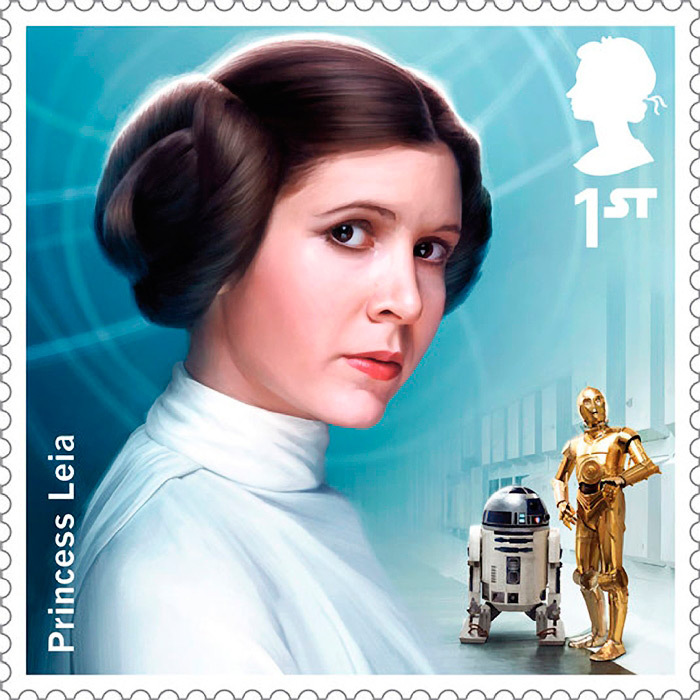 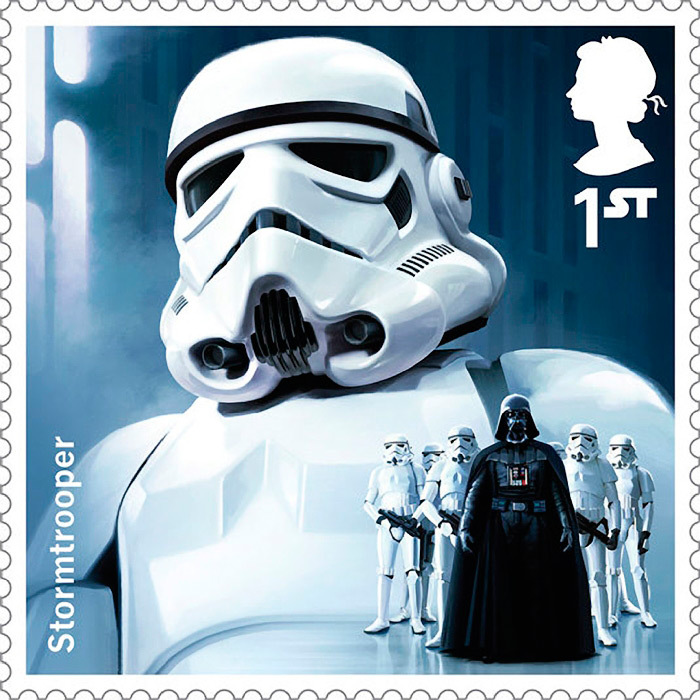 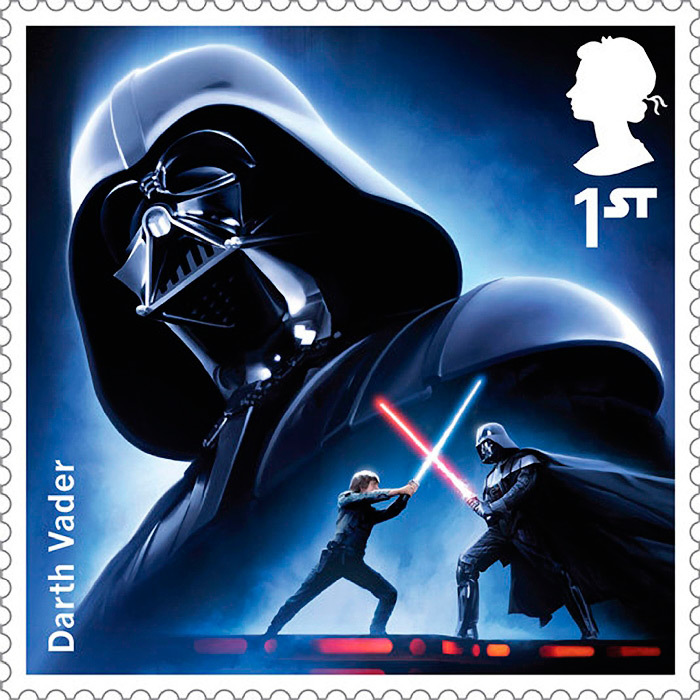 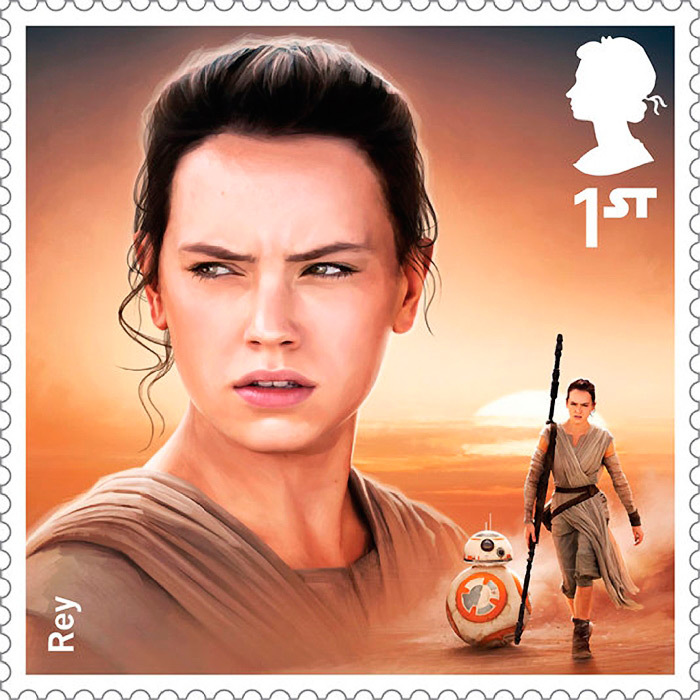 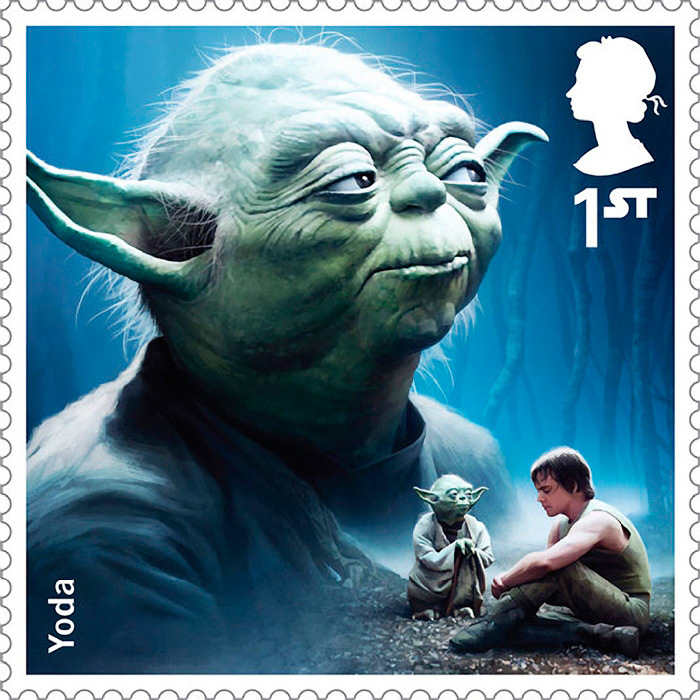 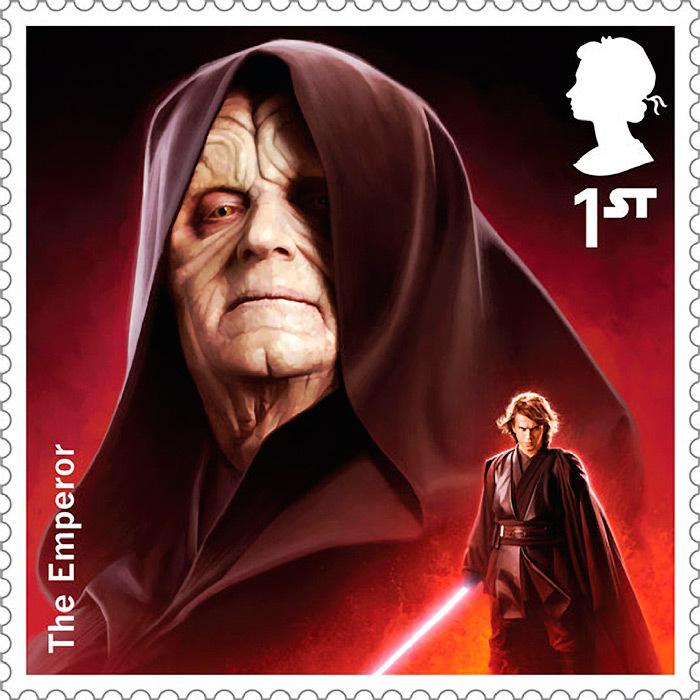 To celebrate the release of the eagerly-awaited movie Star Wars: The Force Awakens and the role the British film industry has played, the Royal Mail has issued a set of 18 first class stamps depicting classic characters, and some new ones, from the first six films. 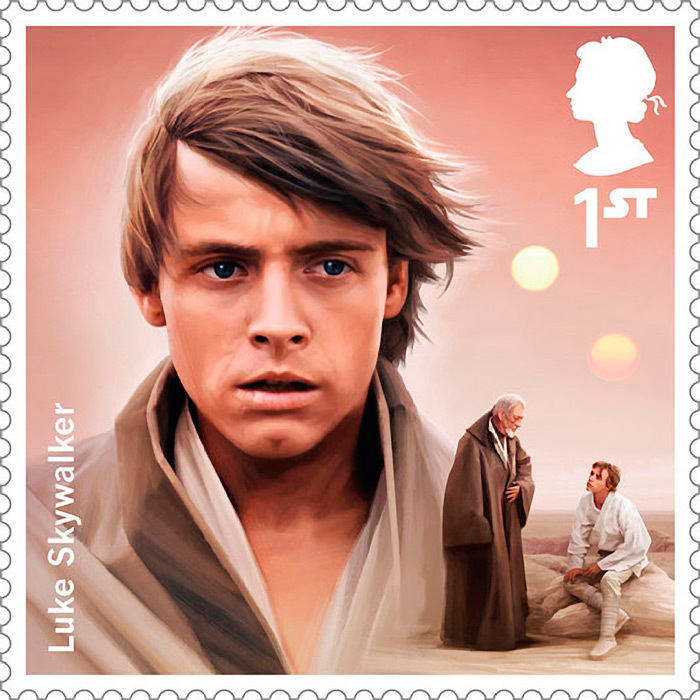 The stamps were illustrated by British artist Malcolm Tween of Digital Progression and will be on sale starting October 20. 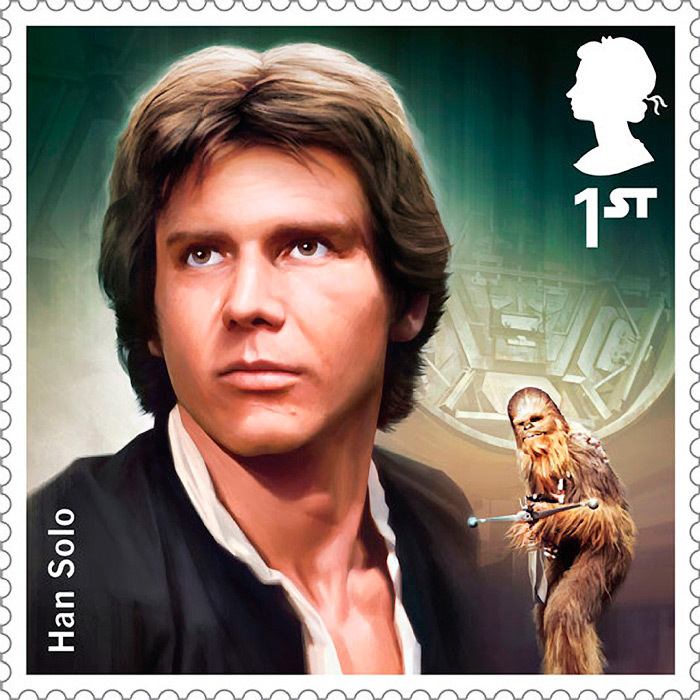 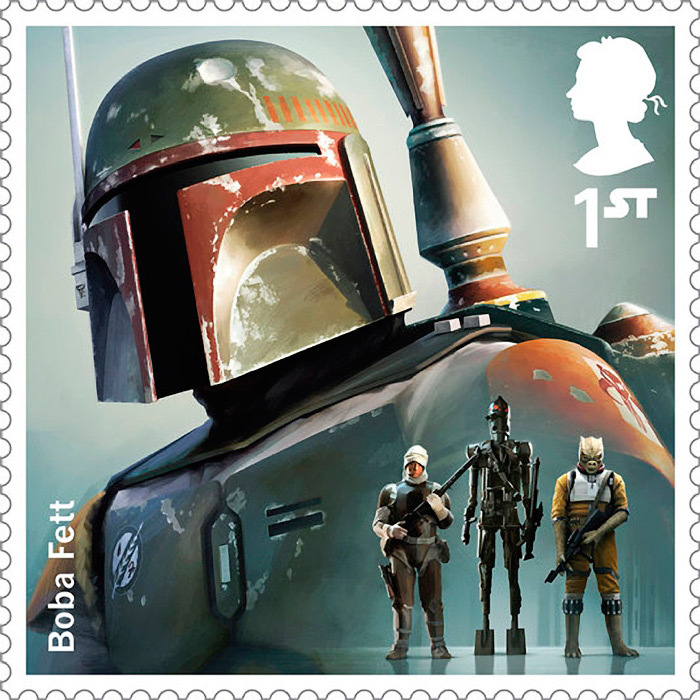 The Royal Mail issued a set of 18 first class stamps depicting classic and new characters from the film series.